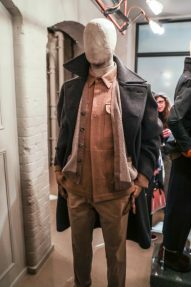 Private White VC introduced their autumn/winter collection for 2017 on the opening day of London Fashion Week Men’s. 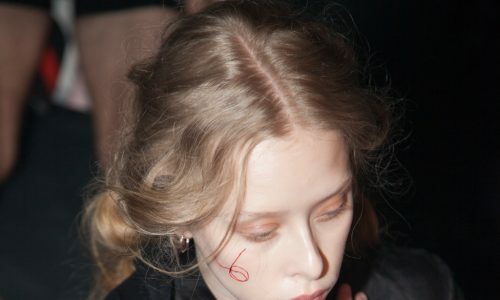 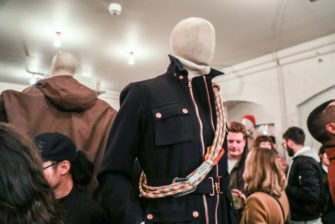 The collection was brimming with the British wartime heritage synonymous with the brand. 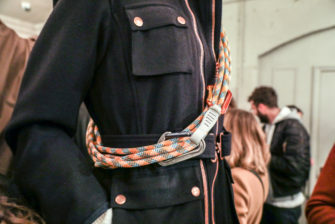 Paying homage to the World War I hero from whom their derive their name, Private Jack White, a military influence seeps through the cuts and fabric choices, as well as nods toward a love for motorcycling and car racing. 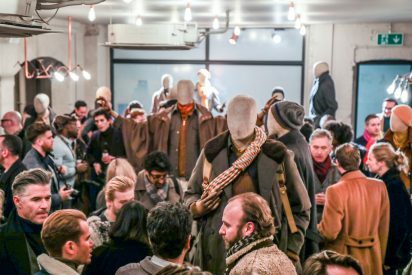 Whilst the ground floor of the luxurious Mayfair outlet offered smart knits, overcoats, and exquisitely displayed bike helmets, it was in the lower level that designer Nick Ashley’s (Private White VC’s creative director) imagination was vividly unleashed. 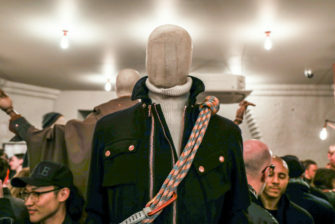 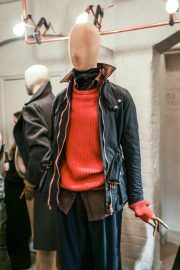 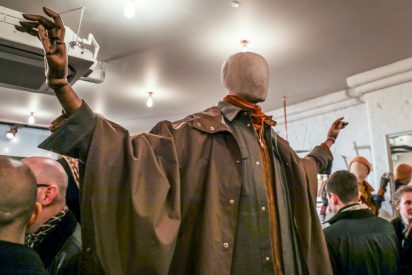 Assorted mannequins showcased alpine-inspired garb in military greens and tweed, adorned with climbing rope and carabiners. 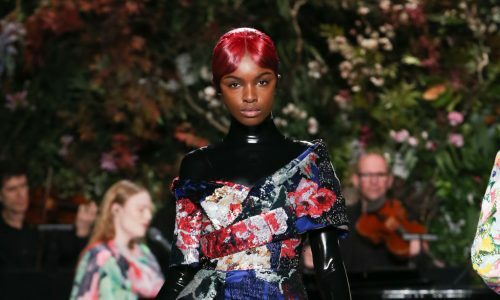 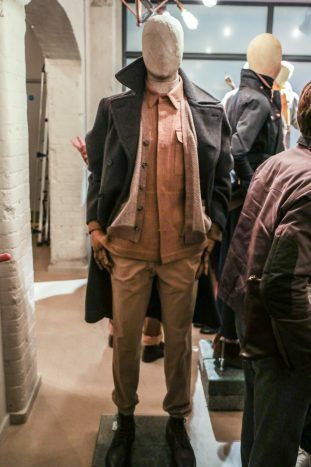 In particular, the first ensemble to greet viewers encapsulated the layered, robust fabrics and natural pallette which characterise the brand’s style. 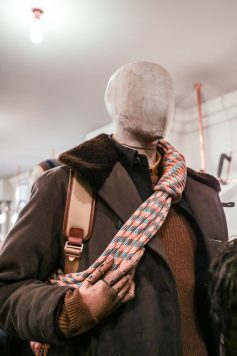 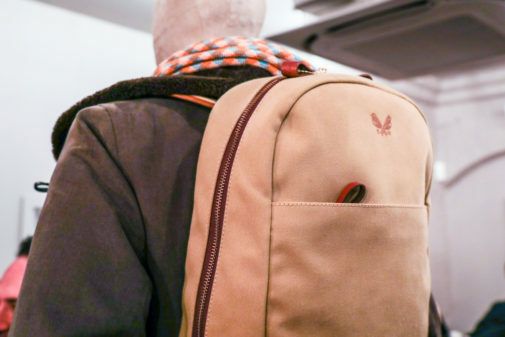 Kitted out with a fur-trim coat and a stunning camel rucksack, the static model illustrated how Ashley has taken inspiration from historical classics and refashioned them according to the practical and stylistic needs of the modern day man. 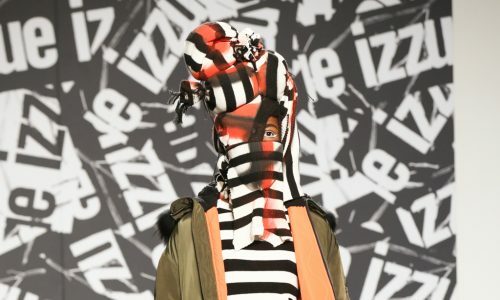 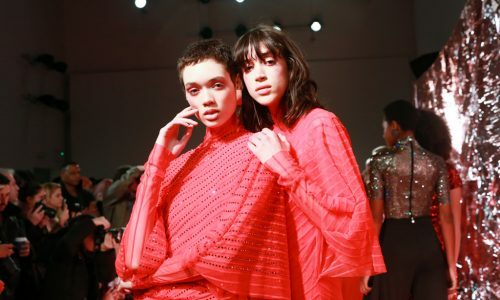 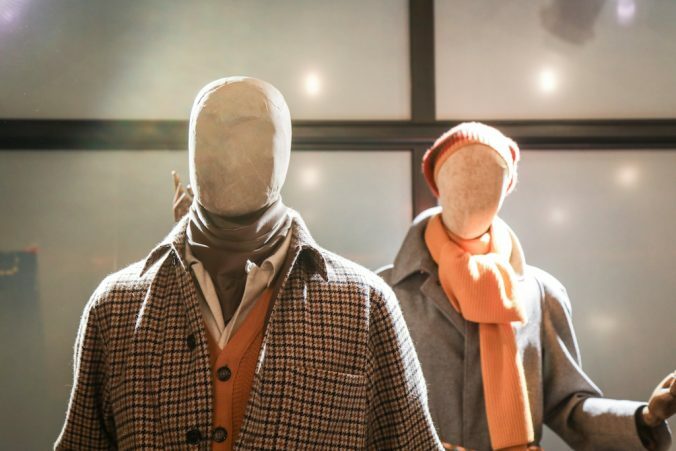 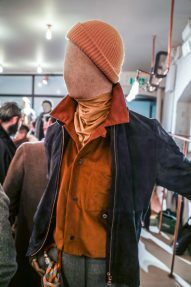 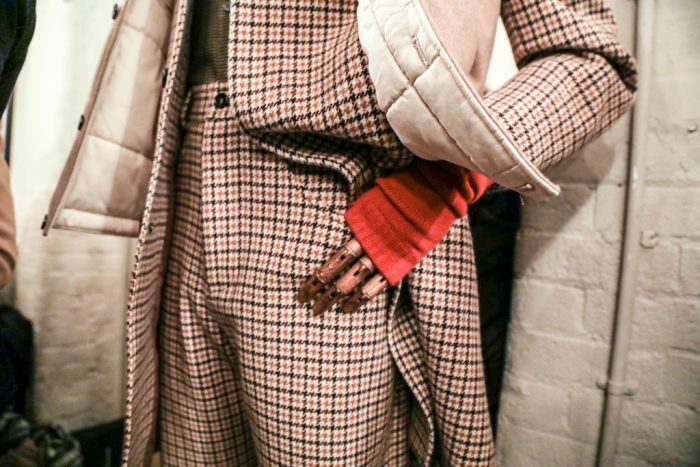 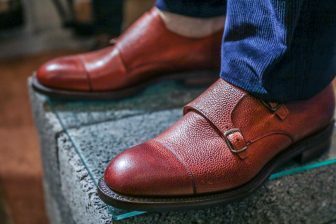 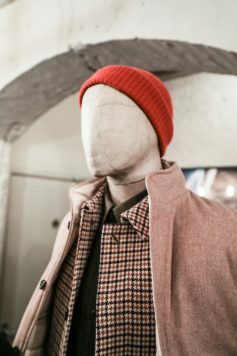 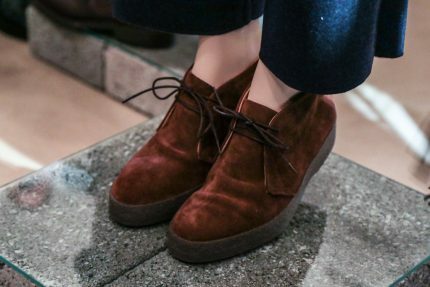 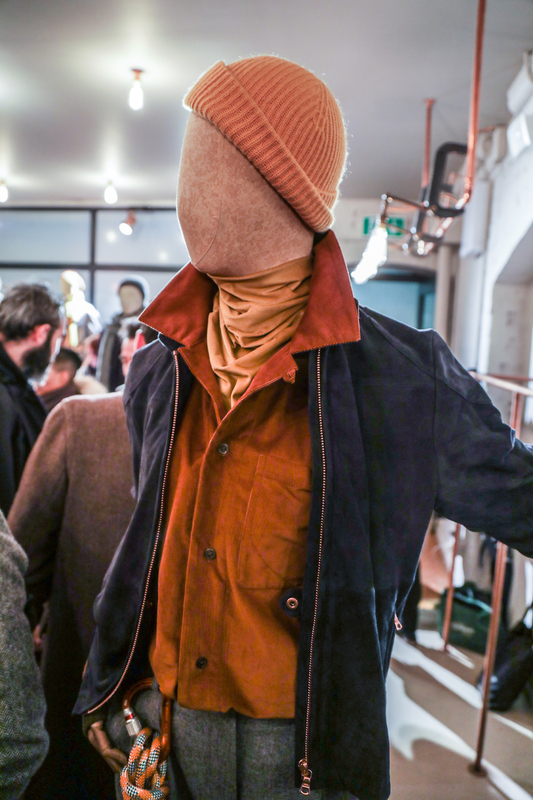 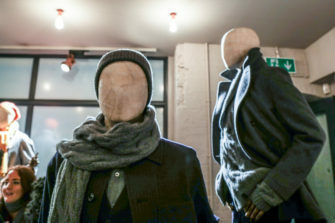 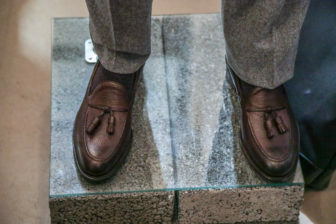 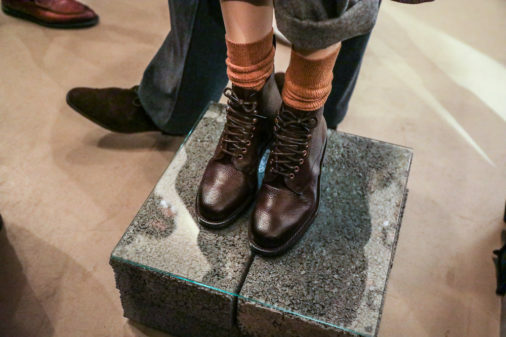 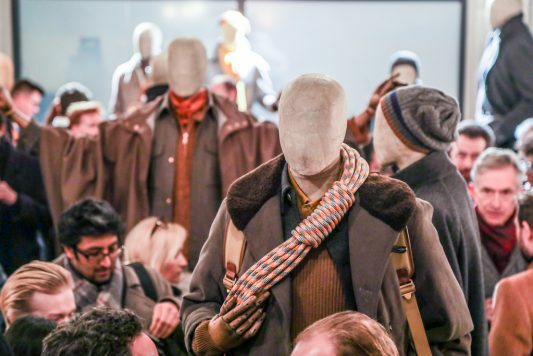 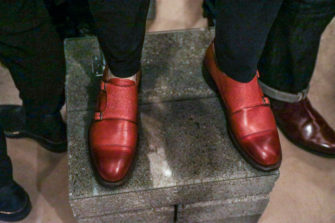 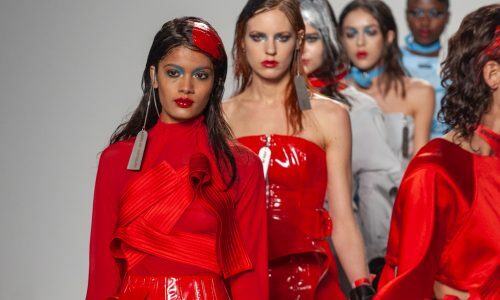 The rest of the display showcased further examples of layered autumnal-hued knits, woollen coats, button-down cardigans and crisp shirts plus tailored trousers, chocolate leather loafers and tan-buckled boots. 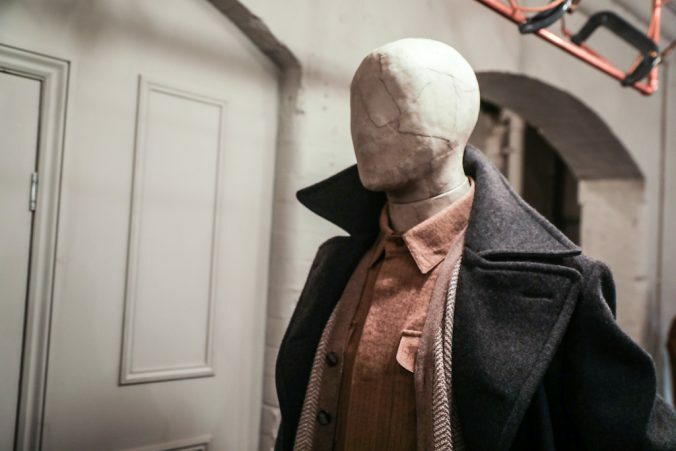 Son of the one and only interior designer Laura Ashley, Nick boasts a lifetime of immersion in creativity and his own dedication to the highest quality fabrics, trims and materials – sourced locally from mills in the surrounding area of the longstanding Mancunian factory – and to products crafted on firmly on home turf, is consistently visible through the collection. 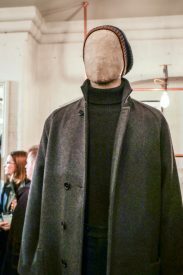 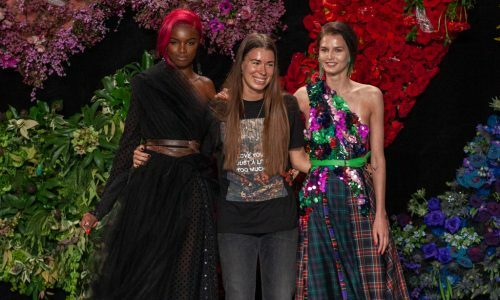 The man himself was there to rub shoulders with a star-studded crowd, rounding off the first day of the glamorous fashion event in (beautifully handmade in England) style. A true tribute to British history, design and craftsmanship.